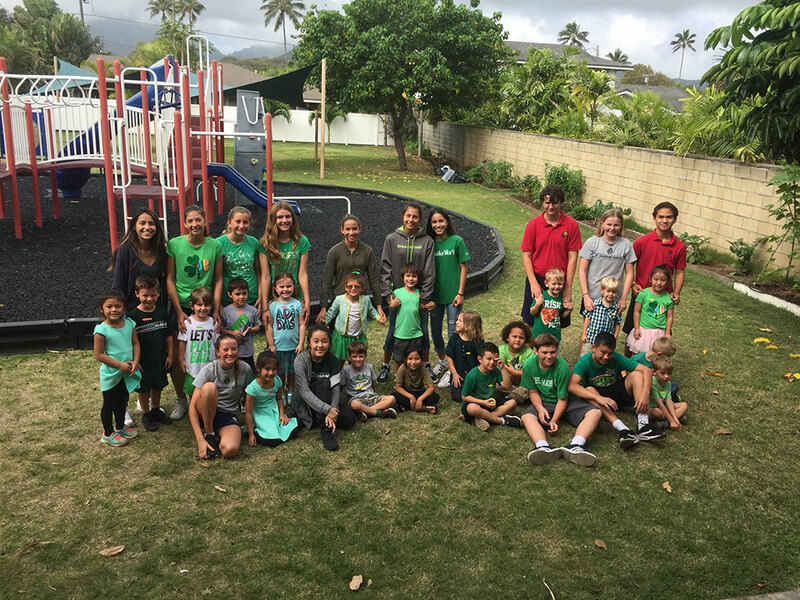 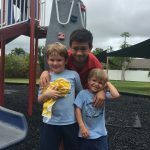 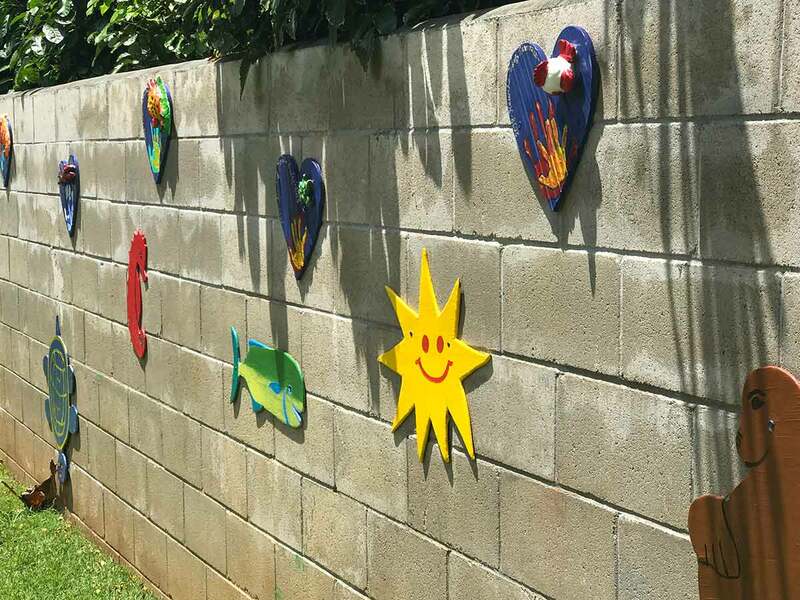 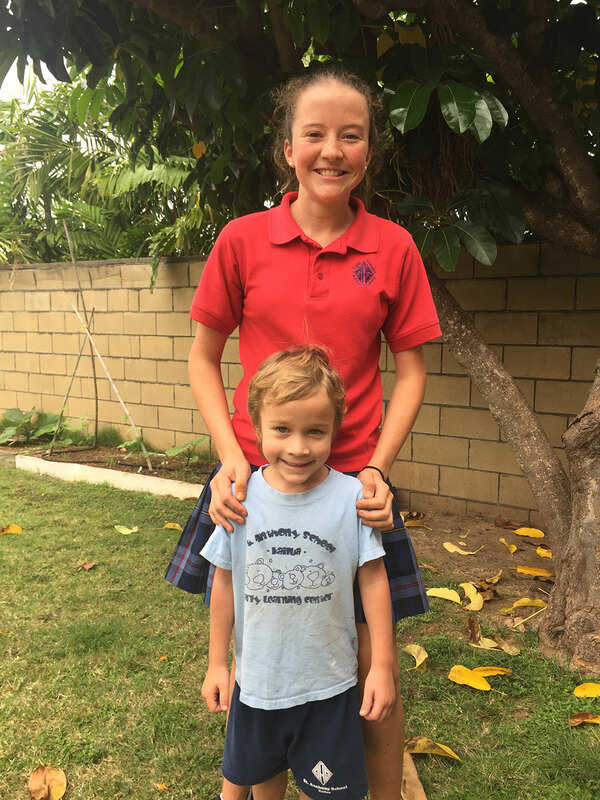 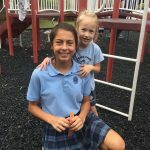 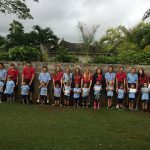 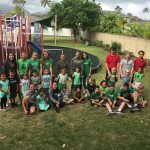 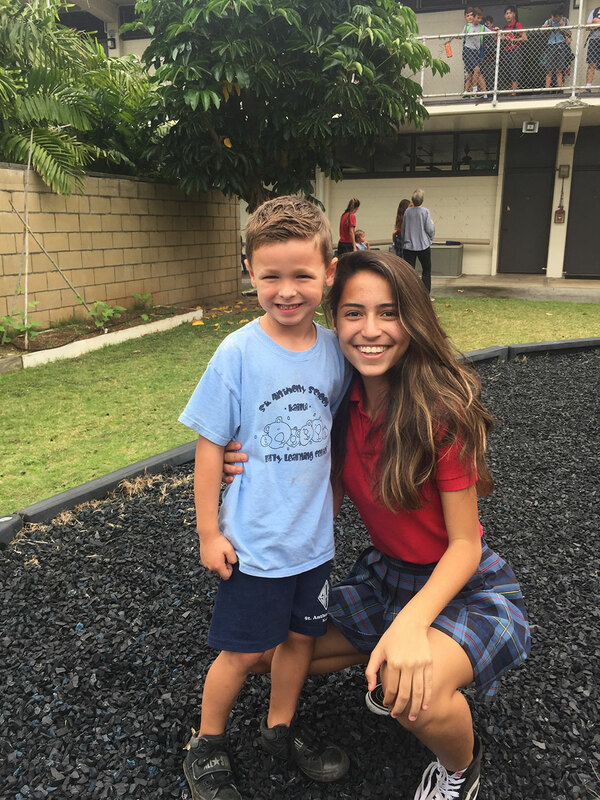 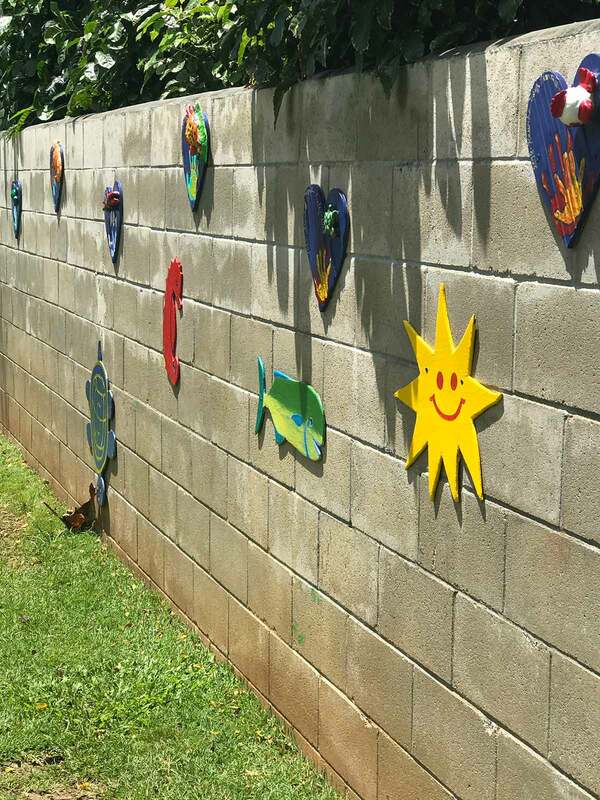 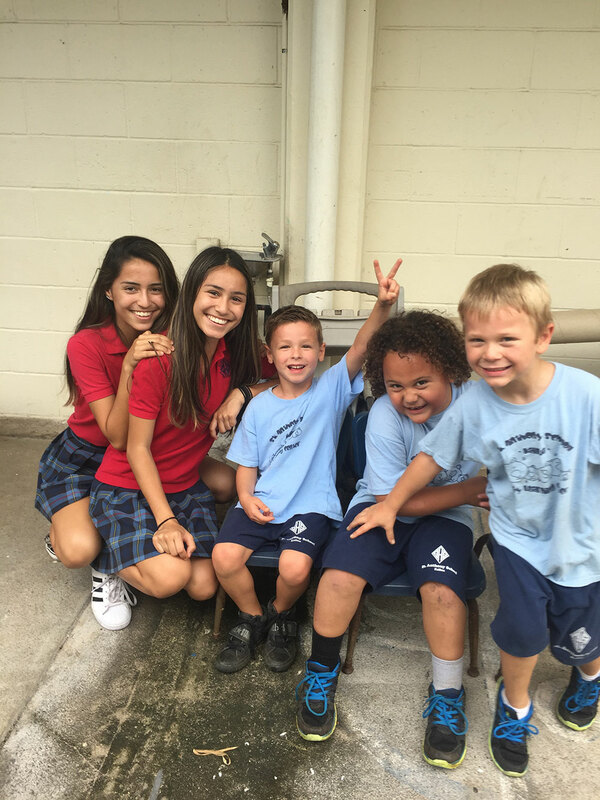 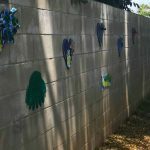 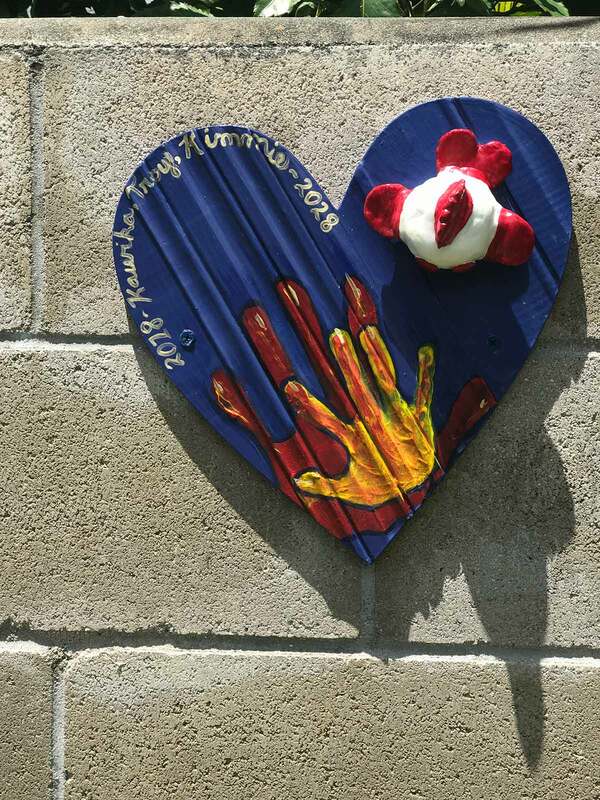 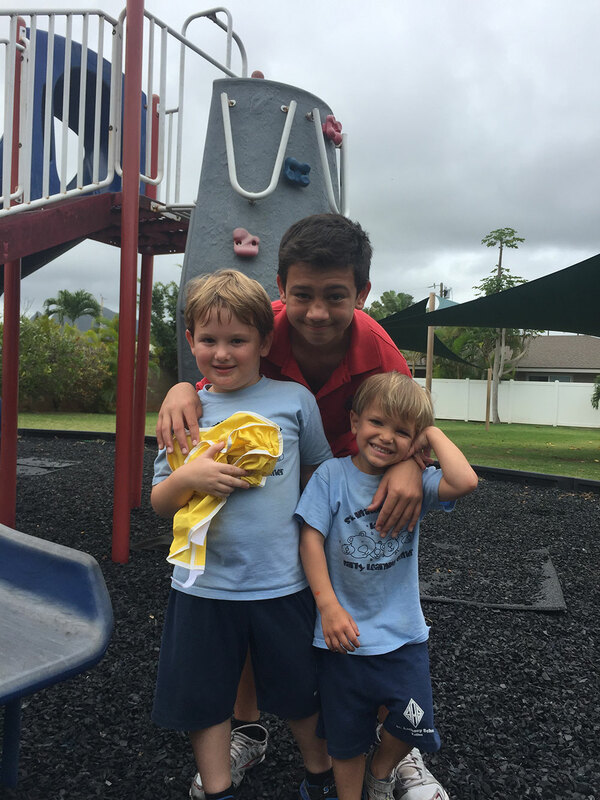 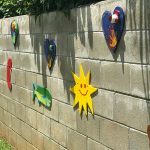 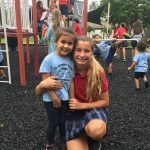 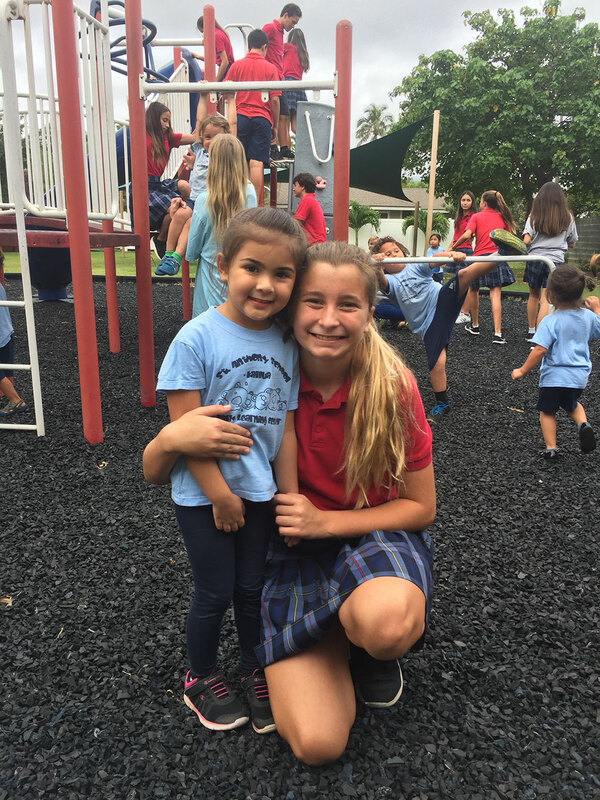 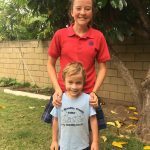 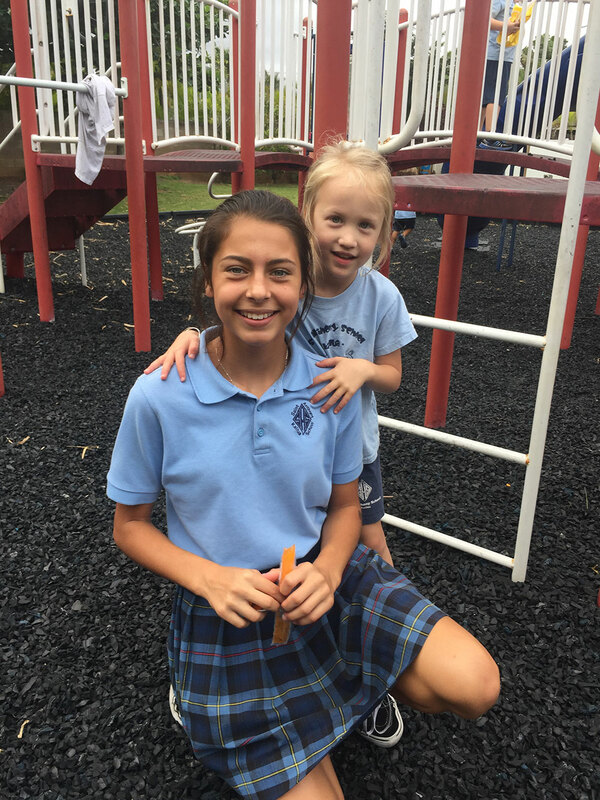 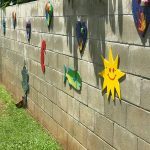 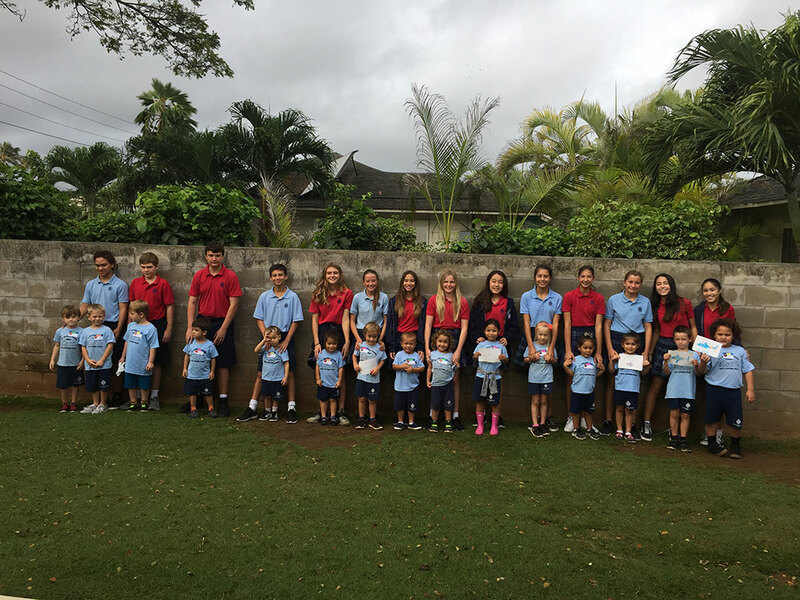 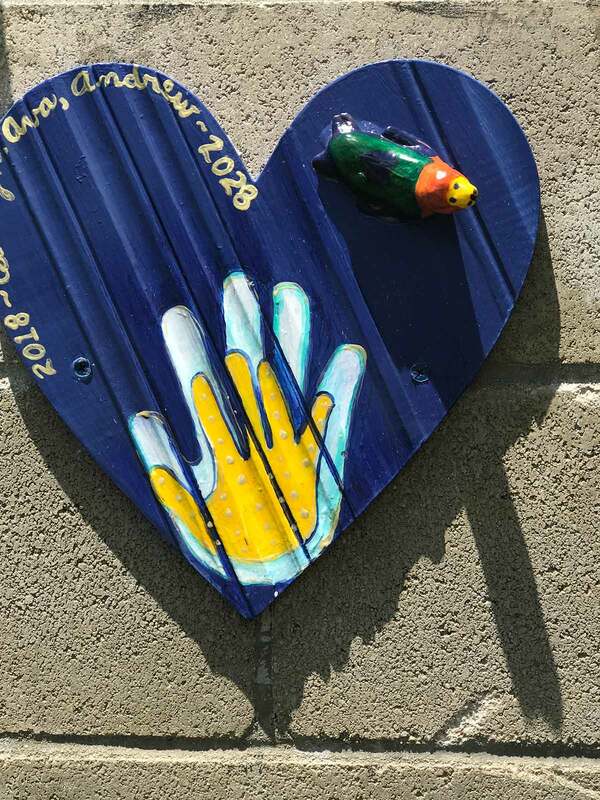 This year, the 8th grade class raised money to add artwork to the preschool playground wall. 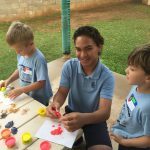 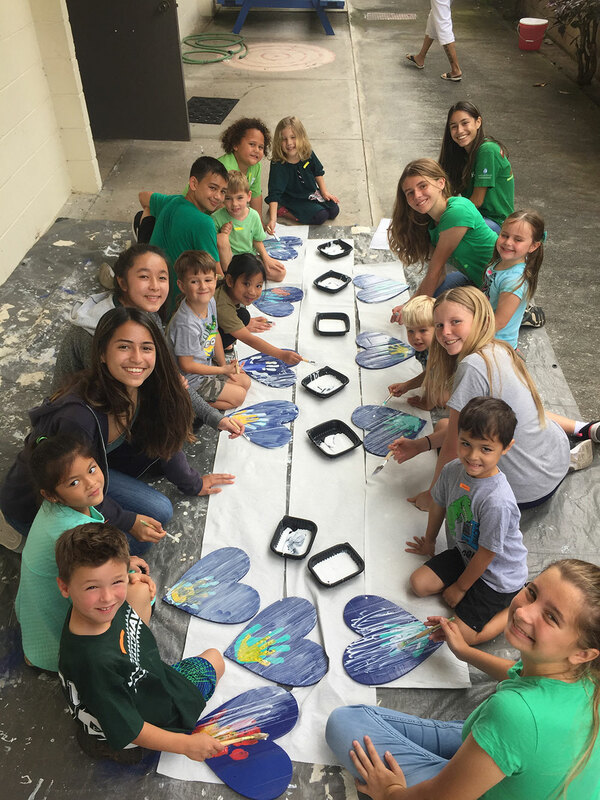 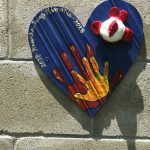 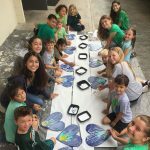 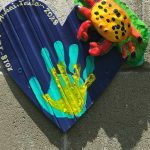 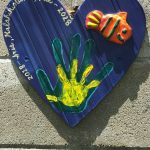 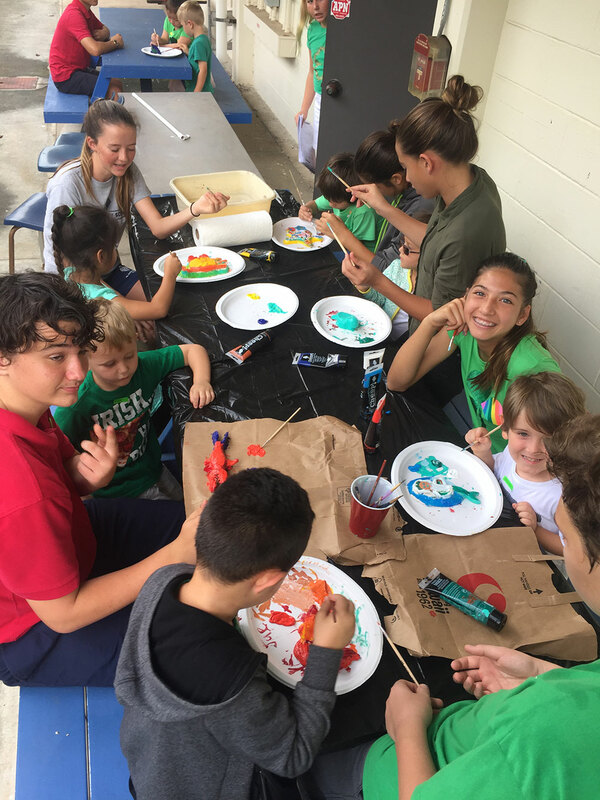 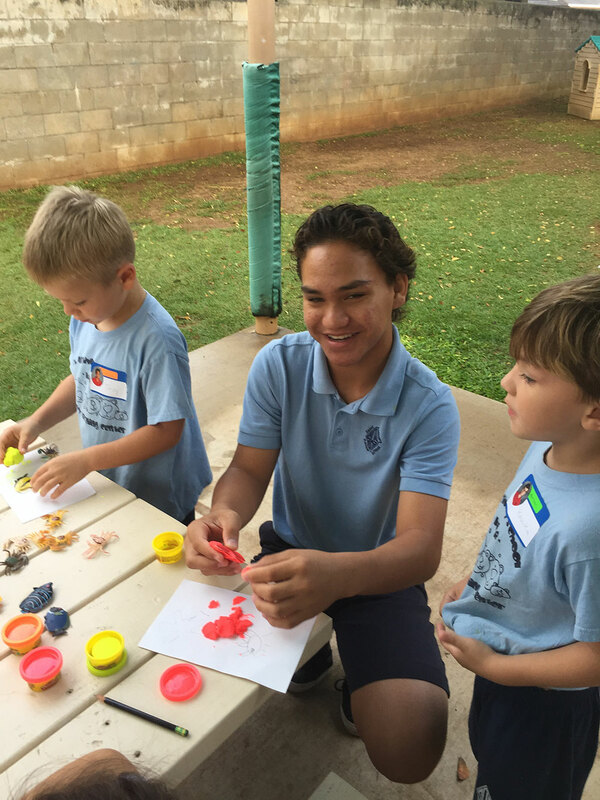 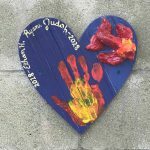 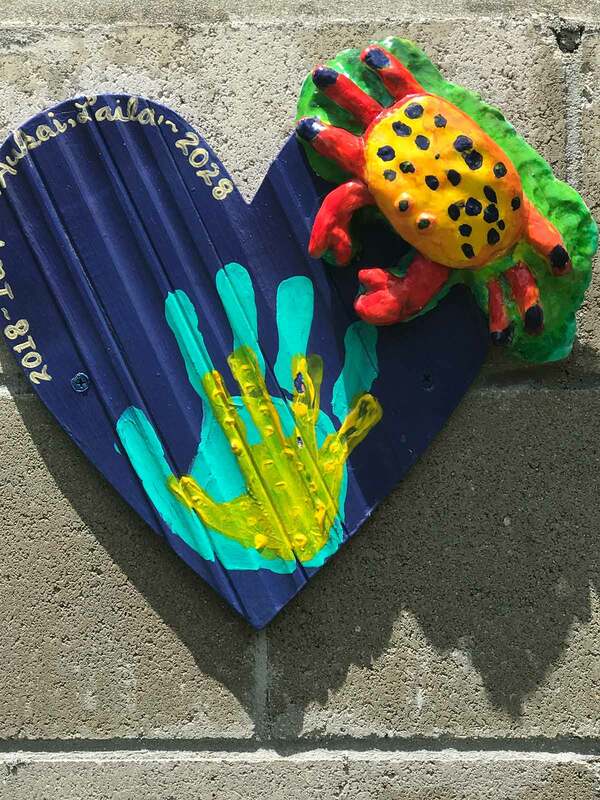 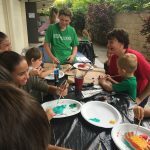 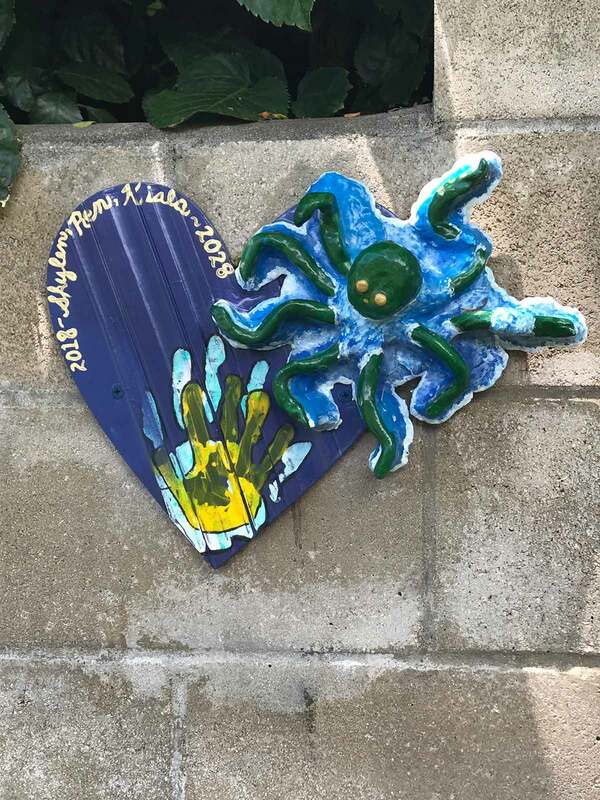 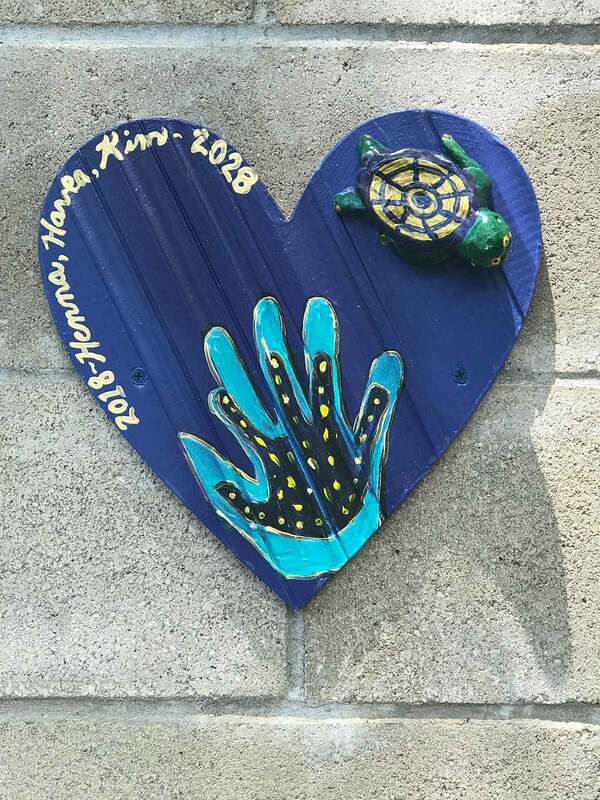 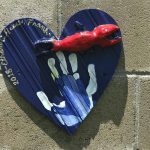 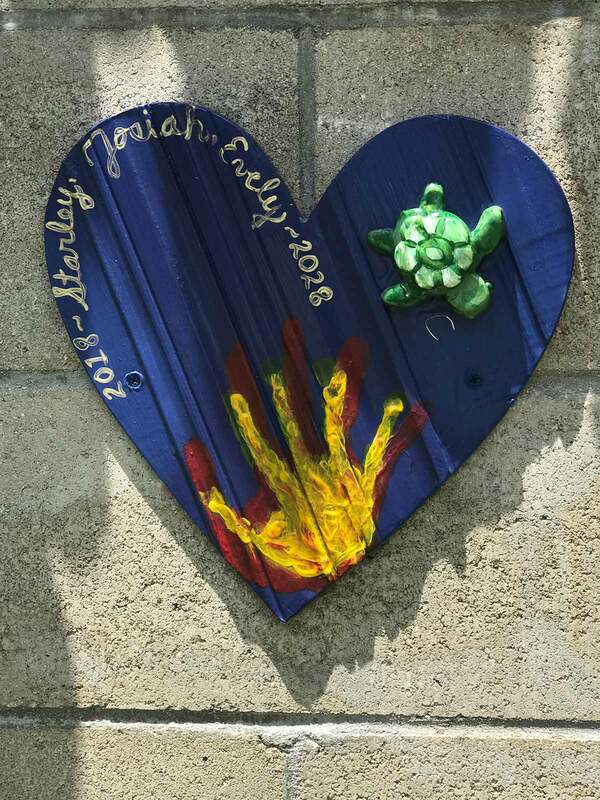 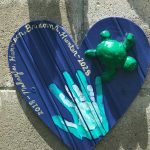 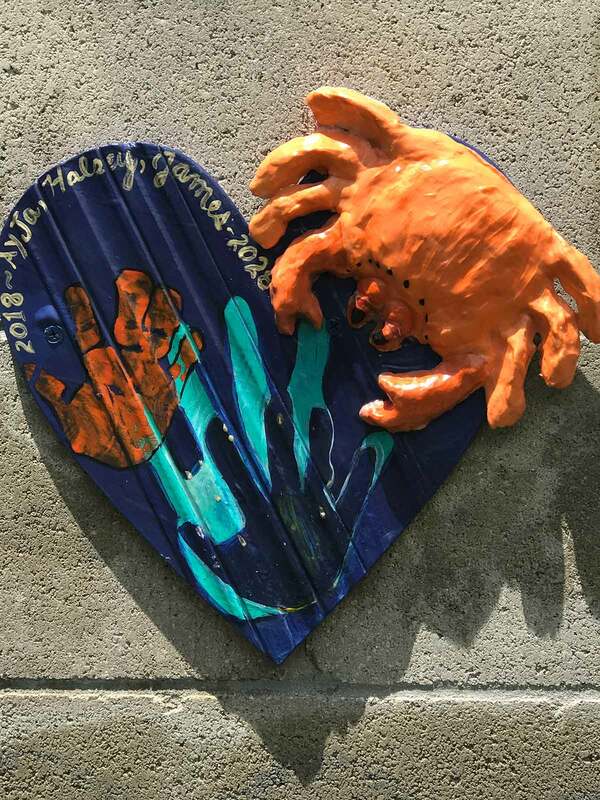 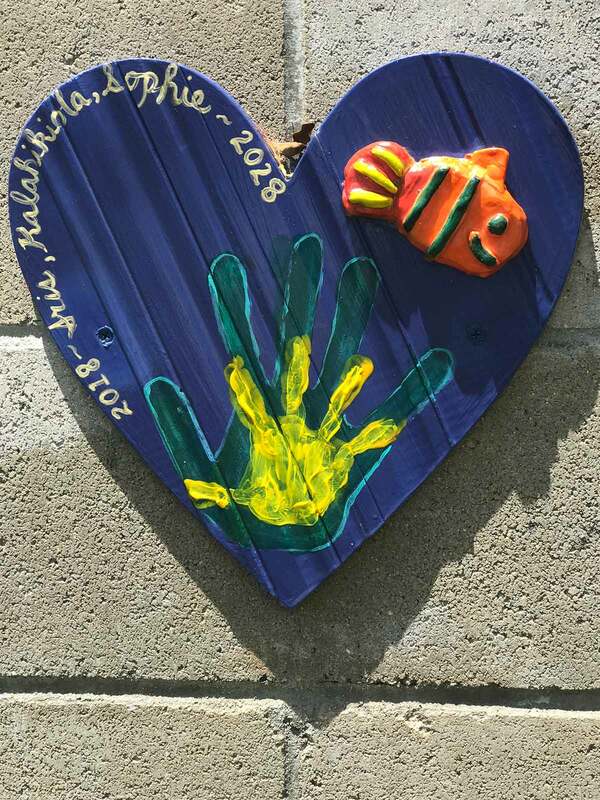 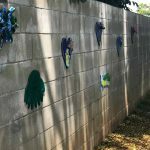 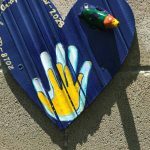 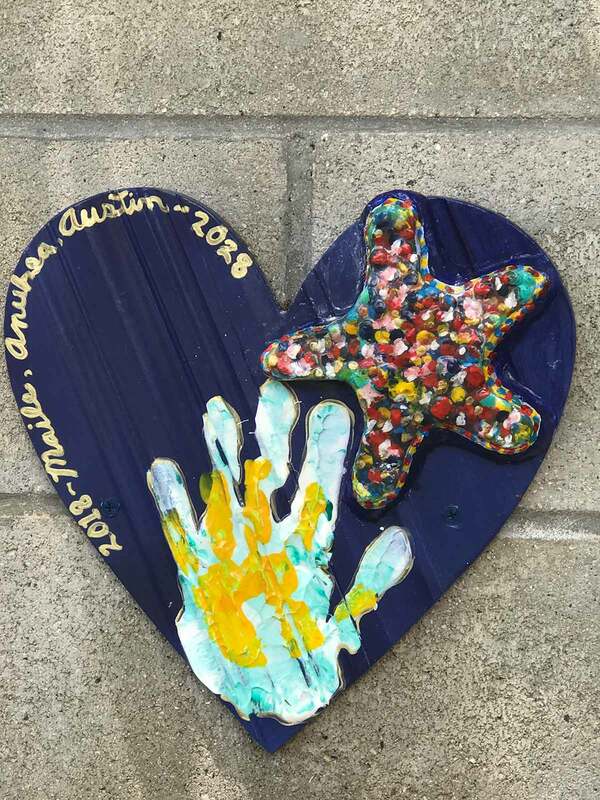 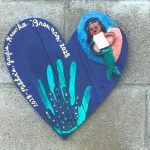 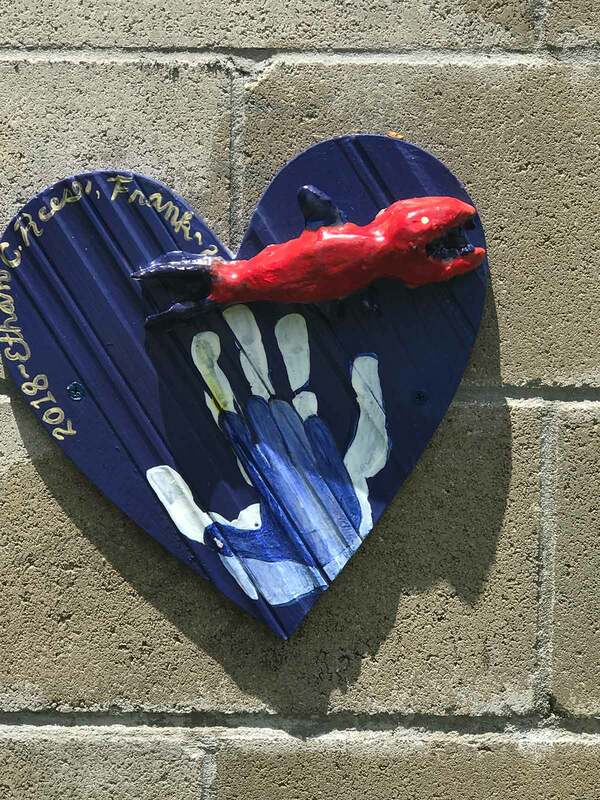 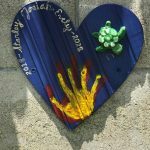 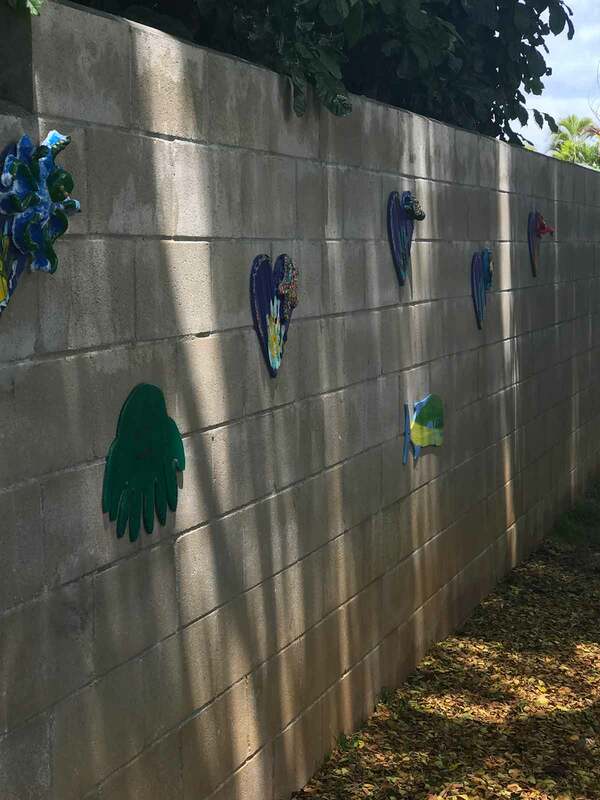 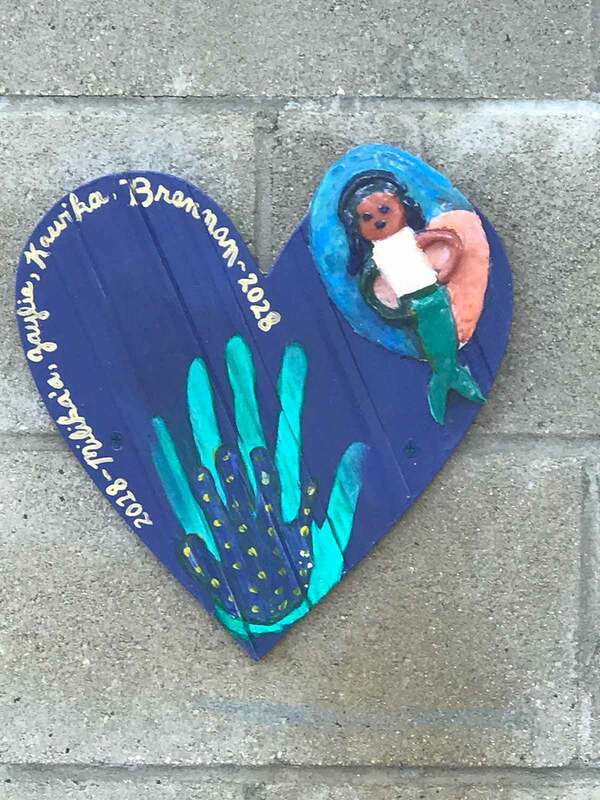 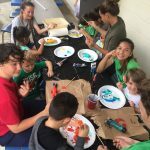 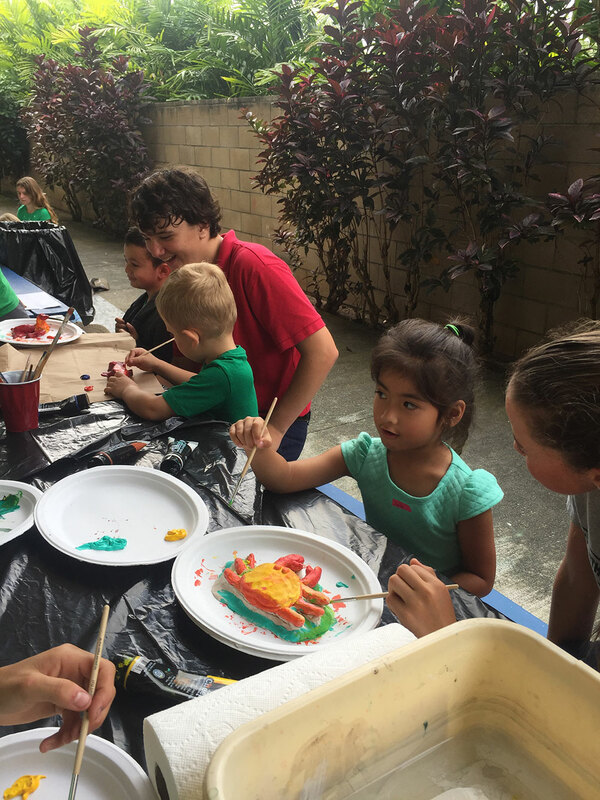 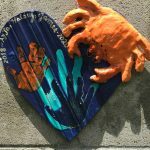 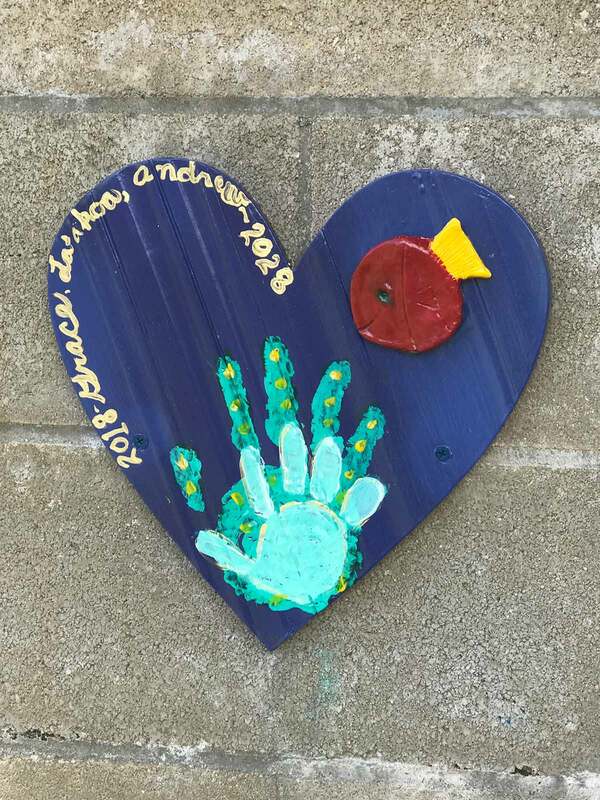 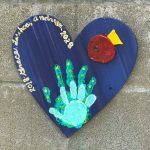 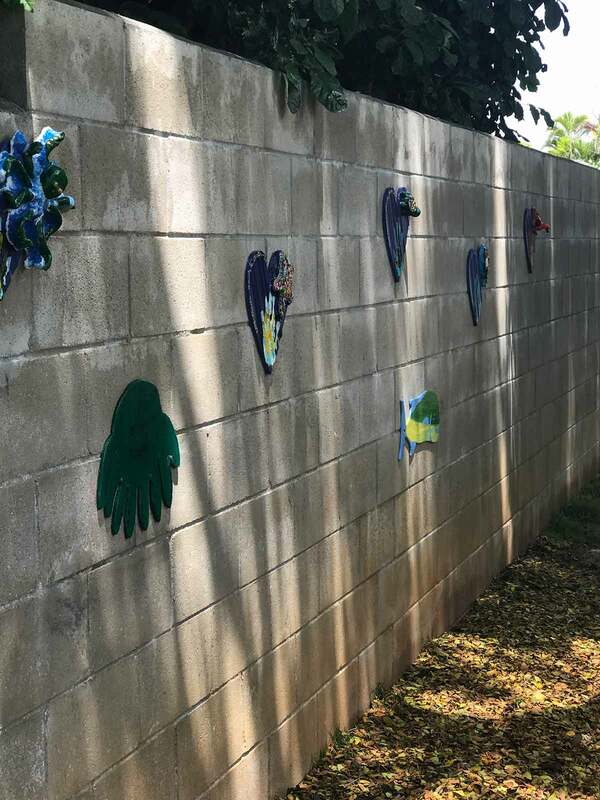 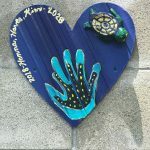 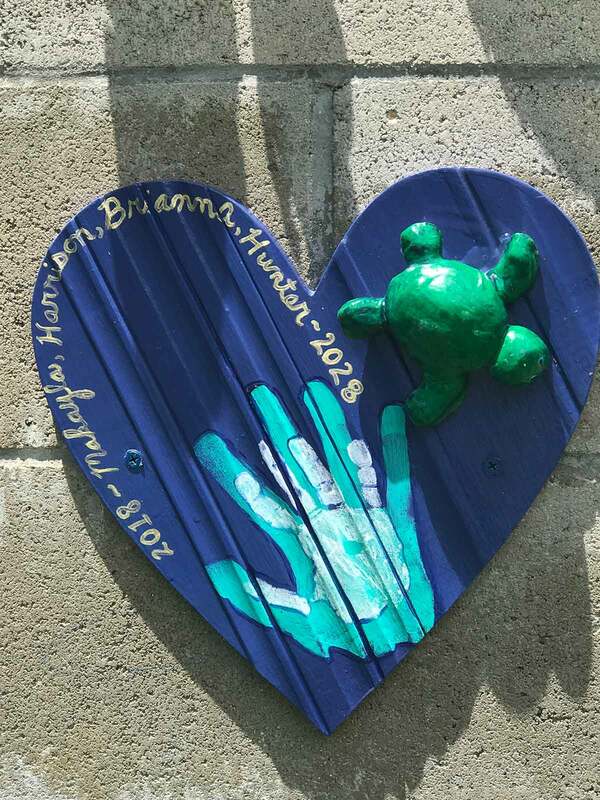 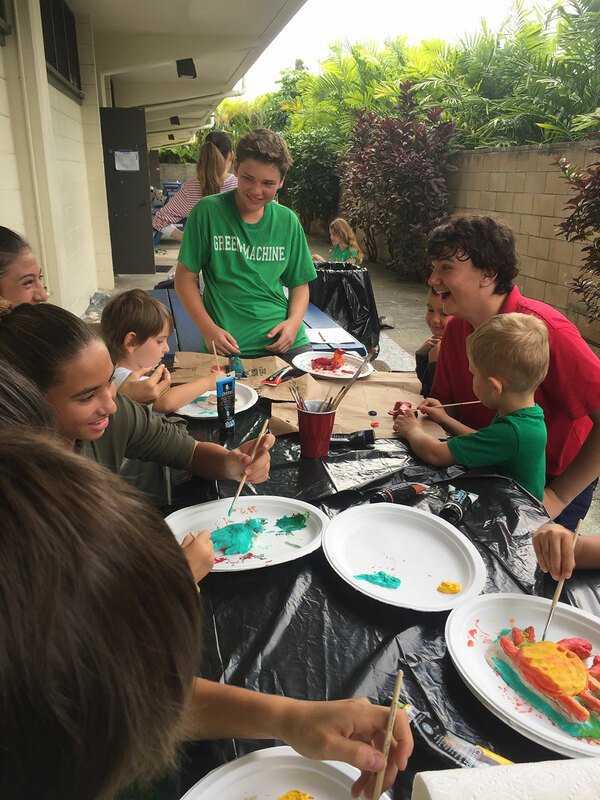 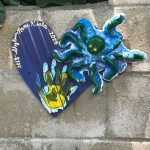 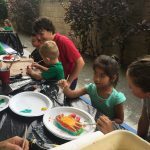 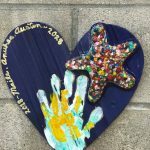 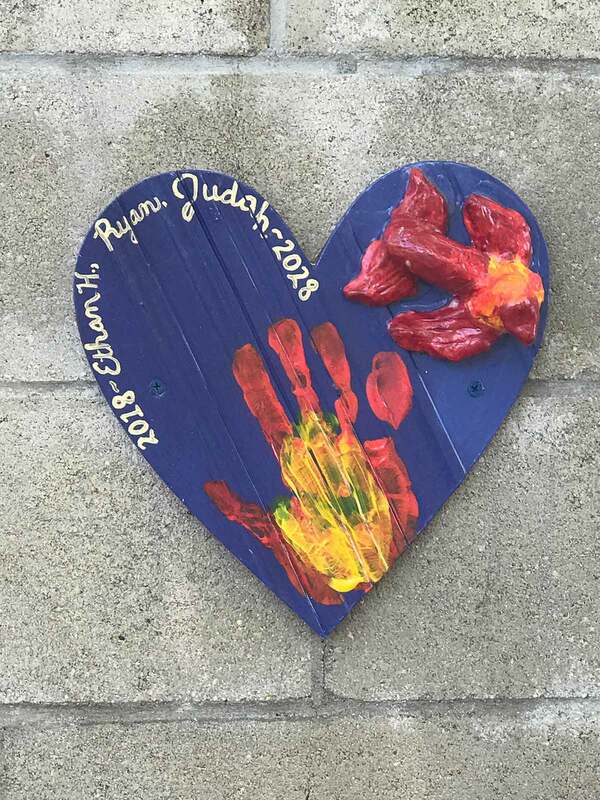 Each 8th grade student worked with several preschool partners to create a clay sea creature that they painted together and mounted on a plaque with their names and hand prints. 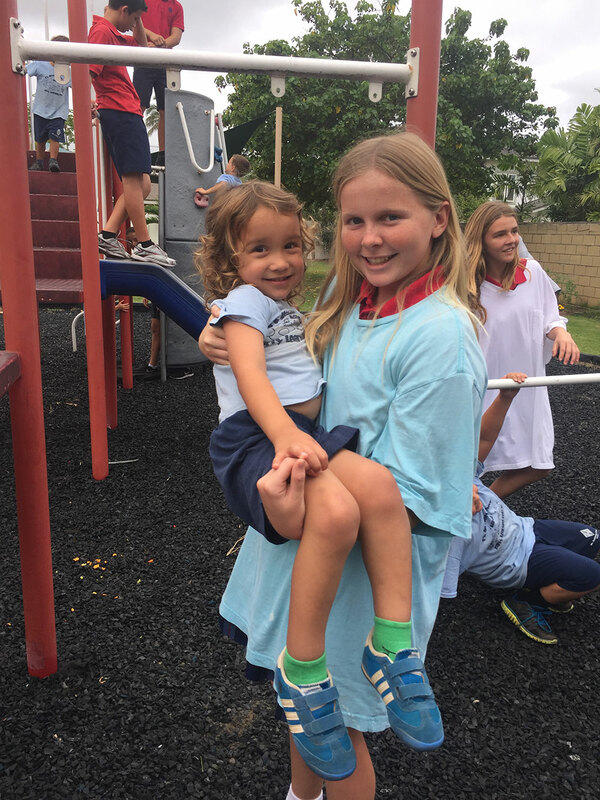 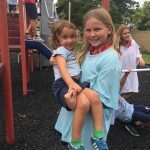 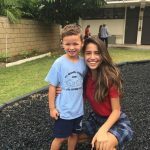 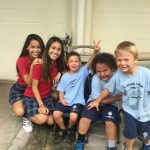 When the art pieces were completed, the students had a party and played together on their newly decorated playground.